Booking can be as a package with a tour company or you can book directly, contact NVTR for details. 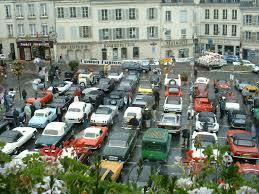 The Laon Historique is a huge event (around 300 cars) and will probably fill quickly, so please do join us. When you fill in the paperwork, state you are with the Nene Valley TR group on route B. It would be great if a number of us could go together so I'd urge you to book soon as it is a huge event! That's all for now, wrap up warm and keep the hood down!